Blending the local with the global, getting ready to explore, learn and make great hoop memories. 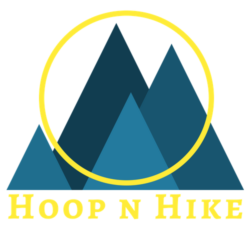 Hoop n Hike is here to share the arctic Midnight Sun hoop experience with you. 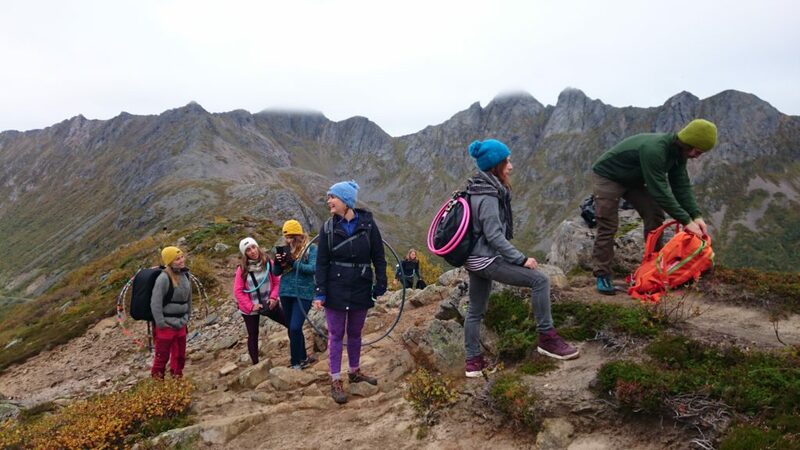 Wow I can´t believe it, but here I am introducing the third edition of the Hoop n Hike retreat. And this time it will be a midnight sun edition. Midnight sun you say? Yes, up here in the arctic part of Norway, in the magical Lofoten Islands we are blessed with 24 hours sun ligth around 1 1/2 months in the summer. Our weeklong retreat will run from July 16th – 21st. Which means we will get to experience the last days of the midnight sun and the first days when it starts to dip again. This natural phenomenon is worth the travel all on its own. Our location is situated where we can look straight west, in the small village of Laukvika. Here we are acommodated in two beutiful and privatly owned houses called the Dreamcatcher retreat. Quite suitable for a small and intimiate retreat, where we get to know each other in a dreamlike environment. 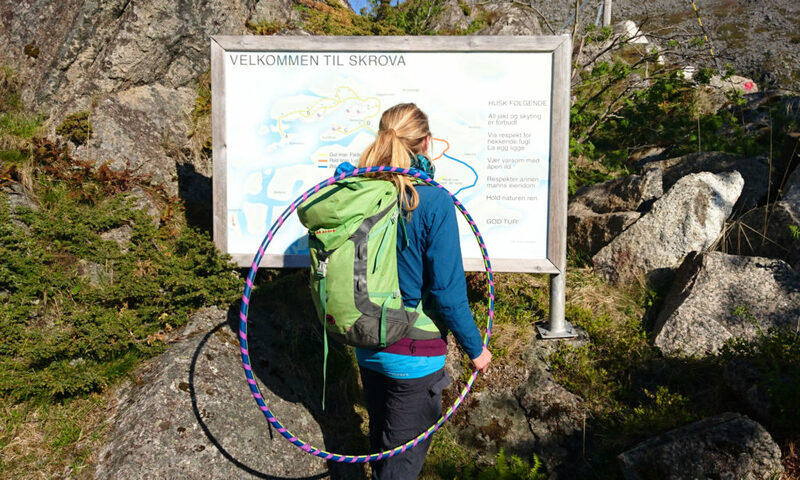 Each day there will be guided hikes where we explore the area, with it´s mountains and coastline, using the neverending sunlight to our benefit, finding the perfect locations for our outdoor hooping. In addition we will have indoor classes in the gymnastic hall of the nearby school, only 5 minutes walk through a tiny birch forest, all to give you the full Scandinavian summer experience. This is an intimate retreat with a limited number of participants. 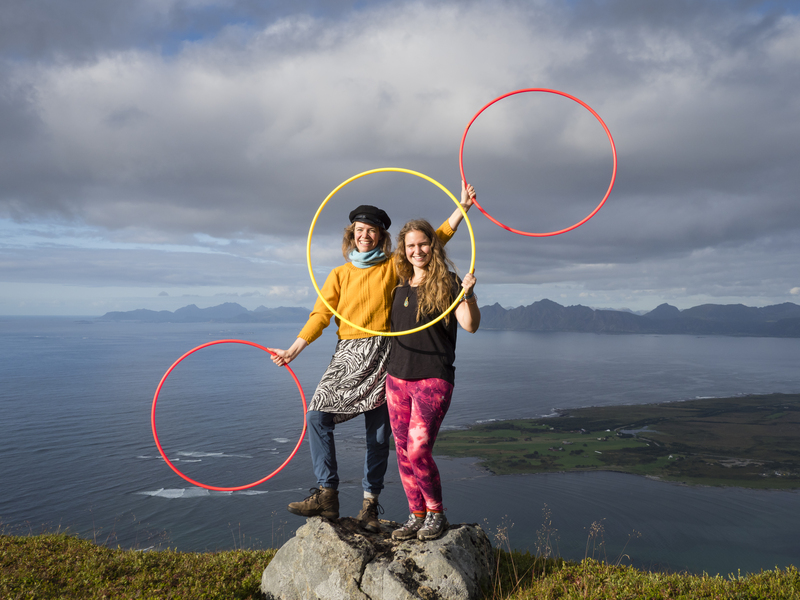 This means you get more time with the instructors and together with your new hoop friends have time to explore and develop your hooping while expanding your views and enjoying the arctic nature. New to hooping or more advanced? Our hoop instructors are skilled teachers for all levels and will give you individual guidance at your level. In addition to hooping, we also have soul movement dance, yoga and deep listening workshops, which are all helpful tools to free your movements in your hoop, soften and strengthen your muscles and listen in a new way. Come get inspired, learn something new, expand your skills to the next level. 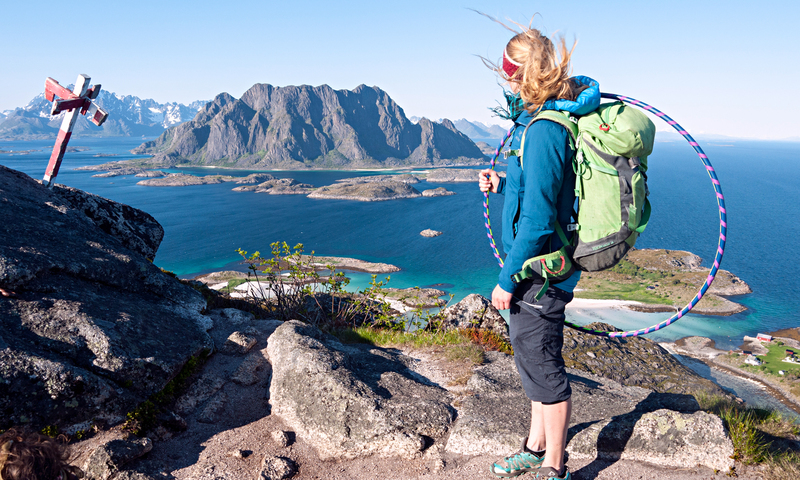 And enjoy the beautiful arctic nature in Lofoten. Ho Rockeringdama (en. the hoop lady) is your proud host of the Hoop n Hike retreat. Elisabeth Færøy Lund, certified Hoop Love Coach, picked up her first hoop in 2010, after a jaw dropping youtube moment of Brecken Rivara tearing it up at some festival. 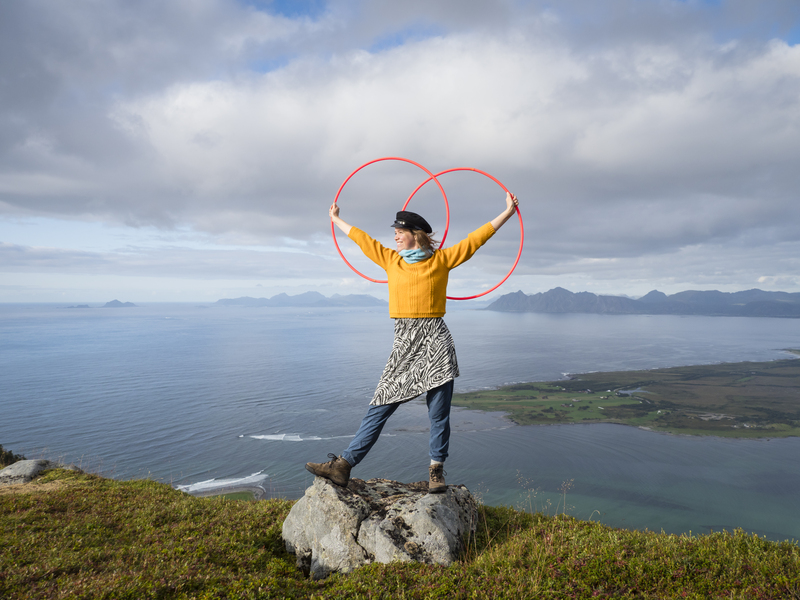 After moving to Lofoten in 2014 she decided to go deeper into hooping and started teaching classes and holding workshops. 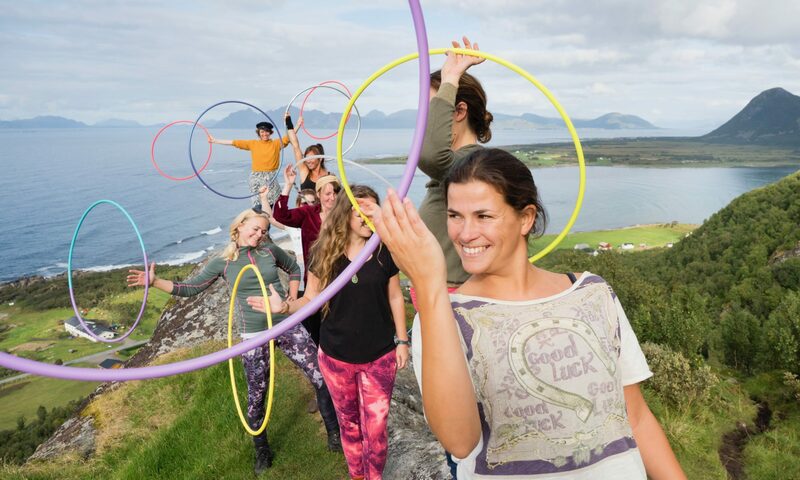 Her experience from traveling and meeting the global hoop community taught her that hooping does not only give you a stronger body and a better sense of yourself, but it also brings new friendships and inspiration wherever you go. Elisabeth is also an artist and a mountain guide, with a strong sense of creating a comfortable setting for people to meet and connect. In the Hoop n Hike retreat she unites her passion for hoop dance and the healing force of being in nature, and is eager to share it with you. Want to know more about Elisabeth? check out this interview by Deanne Love. 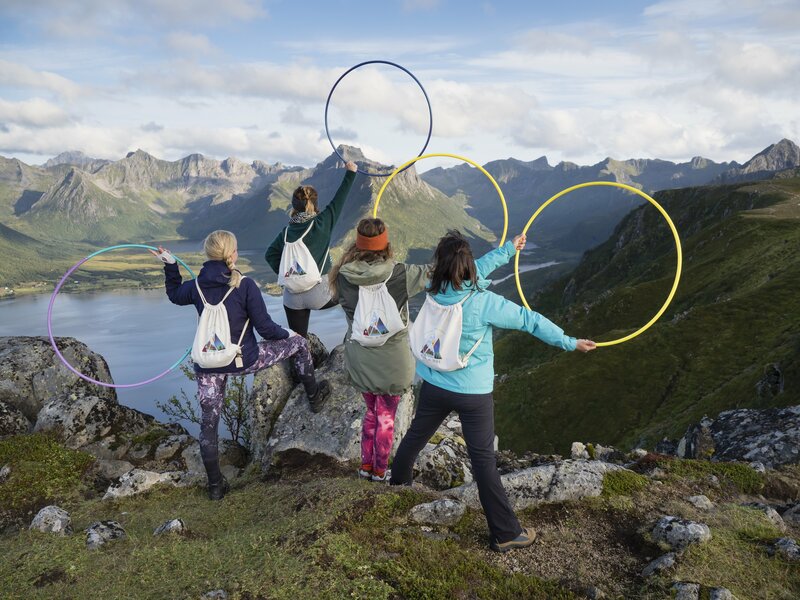 I am proud to have a great team of international and local instructors and helping hands who will do their best to make this an unforgettable arctic hoop experience for you.